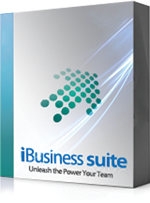 In iBusiness Suite Estate and Lease Contract information Management module is used for storing the data of the lessie, contact information, contract information such as billing cycle , lease rates, lease period etc. In iBusiness Suite Estate and Lease Contract, information Management module is used for storing the data of the lessee, contact information, contact information such as billing cycle, lease rates, lease period etc. You can define different types of properties from where the rent/lease has to be collected. Creating various lease rate plans may have specific clauses required by statute depending on the property being leased, and/or the jurisdiction in which the agreement is getting signed or the residence of the parties. 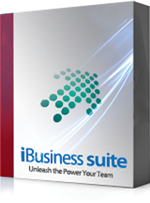 iBusiness Suite has the flexibility to define multiple lease types. This module helps to generate periodic bills based on the contract. Also helps the back-office/cashier to do their work quickly and accurately to arrive at actual payable that includes the arrears, interest, late payment penalties if any etc. The Software is capable of accepting the payment and post against respective accounting heads like principal, interest and late payment penalties if any, of pending invoices chronologically. The system will generate and print the receipt voucher for dispatch or it can be automated by sending mail. In order to manage the pending collections, the payable can be classified into multiple buckets based on the aging and can assign the collection responsibilities to the respective officer or even to external agencies. Supports multiple payment cycles based on the contract type like Monthly, Quarterly, Half Yearly as either advance or postpaid. Credit control measures like sending follow-ups/payment reminders, termination letters on specific schedules, along with over dues can be generated from the system.